TUESDAY, Oct. 4, 2016 (HealthDay News) -- While cooling patients whose hearts stop suddenly outside the hospital may help improve outcomes, it doesn't seem to show the same benefit when cardiac arrest happens in a hospital setting, a new study suggests. Cooling slows the body's activity levels while cells aren't getting oxygen, in hopes of preserving organs and limiting brain damage. But the approach did not improve survival or preserve more mental function when it was performed in the hospital, the researchers reported. "We were surprised that cooling was harmful," said lead researcher Dr. Paul Chan, a professor of medicine at the Saint Luke's Mid America Heart Institute in Kansas City, Mo. However, Chan added, "Patients in the hospital are a lot sicker, which may be a reason cooling doesn't work." Cooling is standard care for patients who have a cardiac arrest, whether in or out of the hospital, Chan explained. During the process, a patient's core temperature is lowered, from 98 degrees Fahrenheit to between 94 and 96 degrees F, he said. It's possible that some of the patients in the study were cooled too much, which might also explain why it was of no benefit, Chan said. Cooling has been found to be harmful with other life-threatening conditions, such as traumatic brain injury, he added. About 200,000 cardiac arrests, which are different from heart attacks, occur each year in U.S. hospitals, Chan noted. 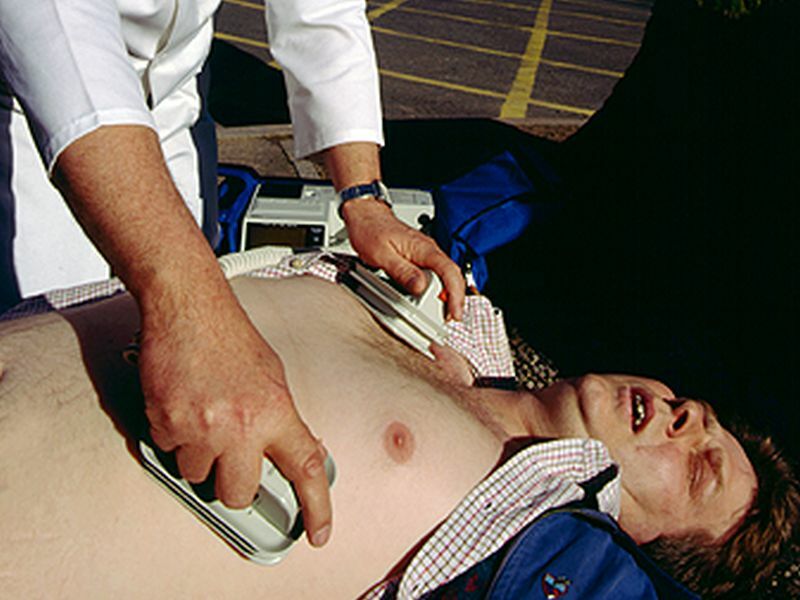 Cardiac arrest is when the heart's electrical system malfunctions and the heart stops working properly. Heart attacks are caused by a blockage that stops or reduces blood flow to the heart. Heart tissue may die during a heart attack, but the patient often survives. With in-hospital cardiac arrest, "We really don't know if this [cooling] treatment benefits patients in the hospital," Chan said. "It calls for a randomized trial to see if it will benefit patients." For the study, Chan and his colleagues used a U.S. registry to collect data on more than 26,000 patients at 355 hospitals. The patients were resuscitated from in-hospital cardiac arrest between March 2002 and December 2014. Overall, 6 percent of the patients were treated with cooling, also known as therapeutic hypothermia. The researchers compared those patients with patients not treated with hypothermia. Hypothermia was associated with slightly lower in-hospital survival (27 percent vs. 29 percent). In addition, hypothermia was associated with slightly lower rates of preserving mental ability (17 percent vs. 20.5 percent). After a year, no survival advantage was seen with therapeutic hypothermia, the researchers reported. The findings were published Oct. 4 in the Journal of the American Medical Association. Dr. Gregg Fonarow is a professor of cardiology at the University of California, Los Angeles. He said: "Therapeutic hypothermia has been increasingly used in patients having out-of-hospital as well as in-hospital cardiac arrest, despite limited evidence of benefit from trials conducted in patients with out-of-hospital cardiac arrest. "These findings raise important questions regarding the role of therapeutic hypothermia for in-hospital cardiac arrest and point to the need for randomized clinical trials to settle the issue," he said. Fonarow was not involved with the study.